Connect directly to NGF Europe's online Quality Control portal using your own account and smart phone to access a range of easy-to-use features. Scan barcodes and query the NGFE database for results based on Product Code or Batch Code. Manually input the search items where barcodes are not available. Blackberry users – To scan a barcodes hold the device approximately 5 inches away from the barcode at an angle of 45 degrees keeping the handset steady. Input Product Codes to access product specifications directly from the NGFE database. Send feedback to NGFE about a product using a variety of inputs. Use your smart phone camera to photograph and attach product images to your feedback. 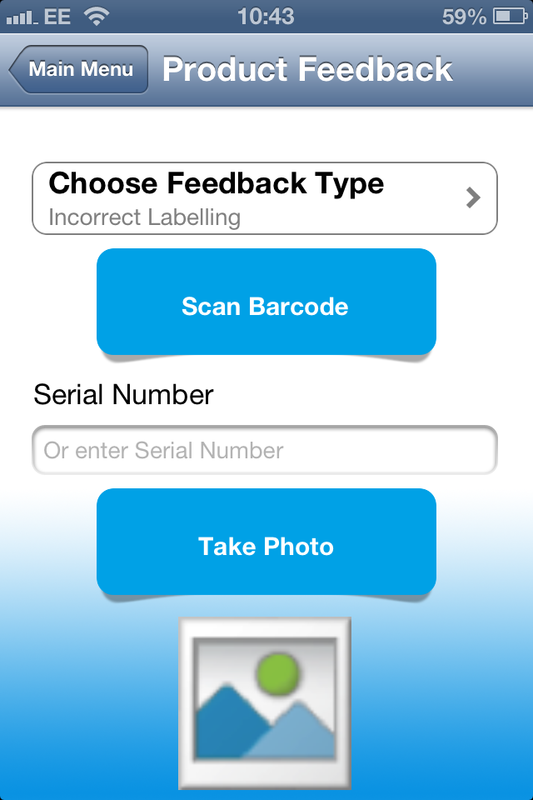 iPhone users must first request a download code before being able to download and install the NGF Scanner App. Please contact Colin Hamand to request your download code. You will receive an email containing a link which can be used to access the NGF Scanner App for iPhone. Open the email on your iPhone and follow the link to install the App. Once installed open the NGF Scanner App and input the username and password that you would normally use to access the NGFE Online QA System. The link provided will include a unique 'redemption code'. Simply click the link and wait for the app to download from iTunes on your handset. Please be aware that accidentally clicking the 'redeem' button whilst the NGF Scanner App is downloading my cause a popup informing you that the code you are using is in use. If this happens please check your iPhone home screen to see if the App has already downloaded. If it hasn't please contact Colin Hamand for a new redemption code.